The twisted minds behind Black Rifle Coffee Company managed to find an even crazier partner to film one of the more insane stunt sequences you’ll see in a long time. Daredevil and Motocross legend Travis Pastrana joined forces with the popular veteran-owned java crew to choreograph the stunt, and with Pastrana’s family history of military service, he said the decision was an easy one. Black Rifle approached Pastrana with the idea after others told them it was too crazy. 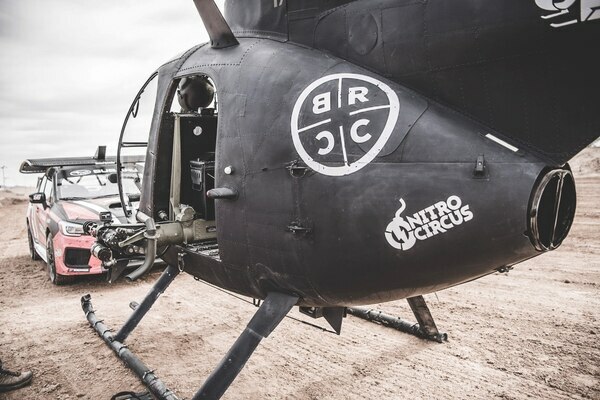 In stepped Pastrana, who, after being pitched the idea of jumping a motorcycle over an in-flight helicopter firing two miniguns as a rally car performed doughnuts underneath and explosions encircled the scene, was pleased to oblige. Pastrana posted video to Facebook on Monday, seen below, of this and other unbelievable stunts. The helo jump can be seen at about the three-minute mark. “This sort of started out as a joke,” Pastrana said of the idea, but the merger between military and action sports communities was hard to resist. 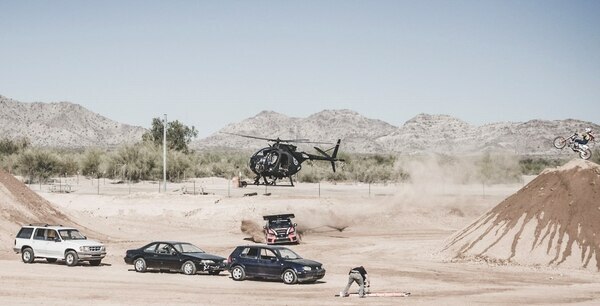 Despite Pastrana’s enthusiasm, though, the idea hit a snag just before filming. Mac, who the crew simply refers to as the “greatest moto rider ever,” was immediately thrilled to come on board. Just one of the perks of having a legend of death-defying motorsports vouching for the idea. Doing “crazy stuff” with such a diverse crew is just one way the team from Black Rifle says they want to breathe positive life into the military community. Along with Pastrana’s Nitro Circus team, Black Rifle is receiving support from bands like Five Finger Death Punch, Asking Alexandria, Breaking Benjamin and All That Remains. The lead singer of Asking Alexandria, Danny Worsnop, actually joined in on the stunt and was in the car with Pastrana, even pulling the hand brake to spare Travis’ broken wrist. 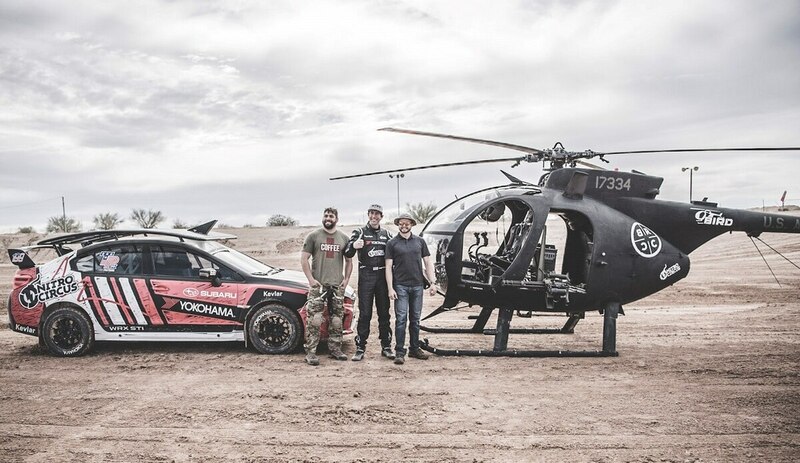 Black Rifle and Pastrana expect to work together again soon, Taylor said, and the coffee company envisions no slowing when it comes to establishing mutually beneficial relationships. Developing these positive relationships is something Pastrana cherishes. Work ethic and character mean a lot to the daredevil, values he’s applied from his upbringing in a military household. Any sane family may have expressed concern about Travis’ career choices, like when he rode a motorcycle off of a ramp into the Grand Canyon, only to ditch the bike and pull a parachute. But despite his ground-breaking vocation, Pastrana’s Marine father offered him a word of advice long ago that he keeps with him to this day.